It was all meant as a little good fun. Until it wound up printed in an actual textbook. 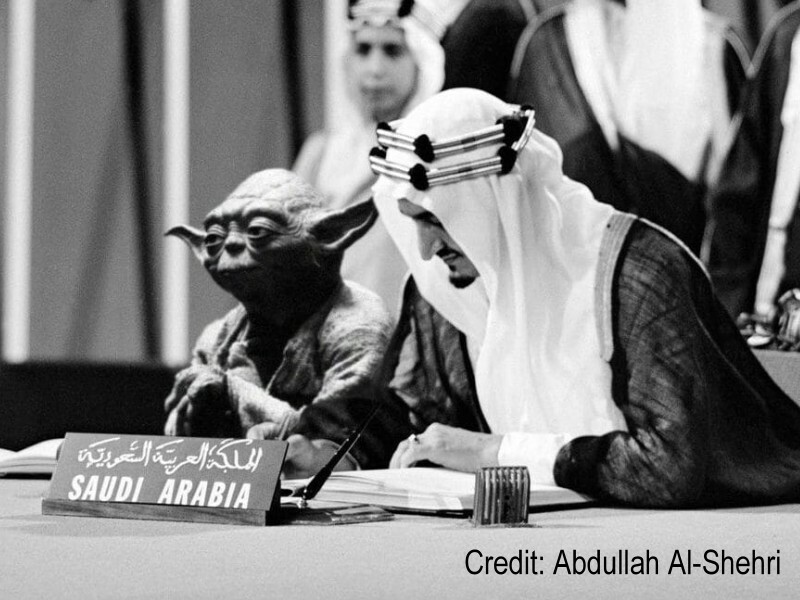 The photo shows the Jedi Master Yoda sitting proudly next to the Saudi King Faisal at the historic founding of the United Nations. The Saudi Ministry of Education regrets the inadvertent error. This might be a good time to discuss the value of editing. A good editor can really go a long ways to making sure things are exactly how you want things prior to printing. In all fairness, Yoda is known to be very wise and well thought of by a multitude or different worlds. He has a long history as an agent of peace. He has counseled many different species through difficult times. He does also wield a light saber and has incredible mind control abilities. Yoda would be a great ally for the Saudis. No word on if the Saudi government found any humor in the photograph portraying the Jedi master as a Saudi agent. They are said to be scrambling to remove the history textbook from circulation. The photo feels credible if you know anything about Yoda. If he were actually a real creature, he would most likely have been in attendance at the forming of the U.N. However, I wonder if he would have supported it after that whole Galactic Senate mishap giving rise to the Sith Lords. ← Previous Story Did the Obama Administration Bend the Rules to Spy on Trump?